Today's Bible verse is an excerpt from a larger text found in Luke 12:22-34 where Jesus is talking about some of the major things we worry about... Food, clothing, shelter. He encourages us not to worry about these things because we have a loving Father who has promised to provide for us. Jesus uses illustrations of the birds of the air and the lilies in the field to get His point across, that God provides for all that He created. 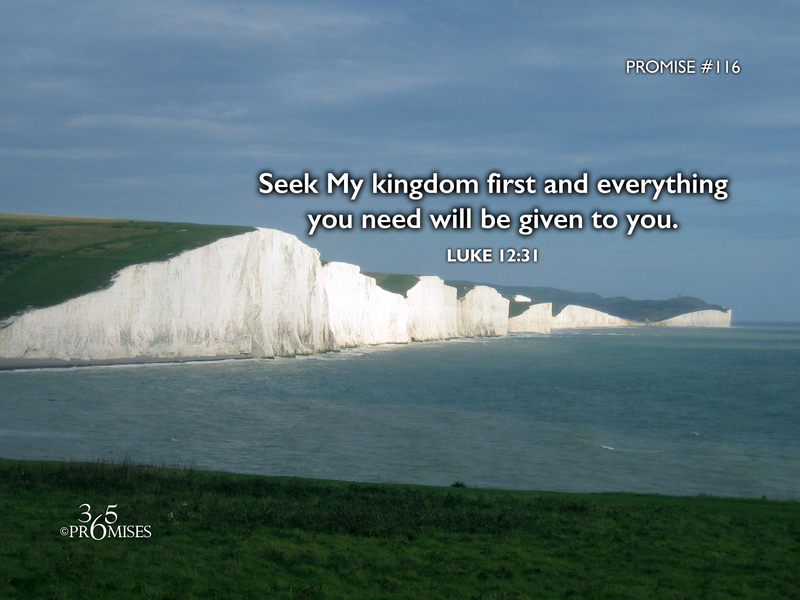 The premise of today's promise is this... Your Father in heaven knows what you need and He will be faithful to provide because that is what good fathers do for their kids. Since we do not have to carry the burden of looking after ourselves, we can be free to focus on our Heavenly Father's kingdom and be about His business. Personally I have found this text of Scripture to be very challenging at times in my life. Jesus actually says that we do not need to give any thought for our life. I don't know about you, but I find that difficult to comprehend. Yet, Jesus told us that it is possible to live such a care-free life that we can actually live without worry. My prayer today for all of us is that we would take God at His Word. I know if we can truly do this, the end result will be a life free from worry and anxiety to the degree which we can trust Him with our lives. When we seek Him with all our heart, He looks after all of the other details in our lives!